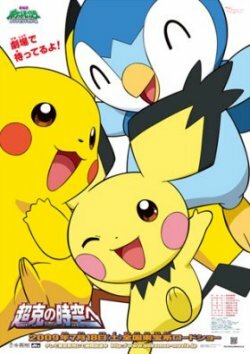 This movie is set to conlude the trilogy of movies starting with the Rise of Darkrai and features Arceus fighting against Dialga, Palkia & Giratina. 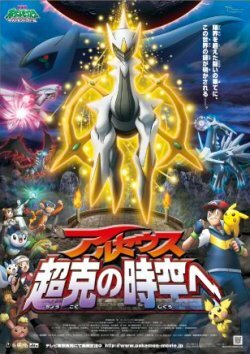 Thousands of years ago, when an asteroid was heading to earth, Damos called out for Arceus to help him and so Arceus gave him the Jewel of Life and arranged a time for the return of it. However, Damos ended up betraying Arceus and so Arceus became vengeful against man.